Exploring is a way for young men and women to investigate and develop their interest in possible career paths. Posts can focus on almost any skilled trade, such as Fire Fighting, Nursing, Welding or Law Enforcement. 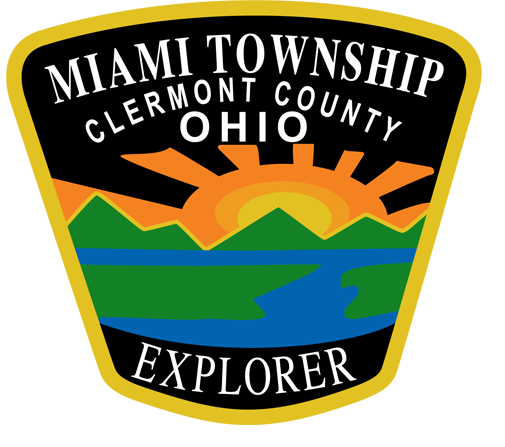 Miami Township sponsors a Law Enforcement Post. In fact, we have the most successful Exploring Post in the region. We were recently recognized as the 2013 Explorer Post of the Year by the Law Enforcement Exploring Executive Committee. We won the same distinction in 2010, 2011 and 2012! Crime Stoppers chose our post to win their coveted Organization or Citizen Volunteer award in 2011. Exploring is a co-ed program for youths 14 to 21 years old. Exploring Posts are chartered and organized under the Boy Scouts of America and Learning for Life. We meet every other Wednesday to learn about policing and to work on skills that we use to compete against other posts each spring. In April, we travel to northern Ohio to compete against teams from all across the state. In 2013, there were 54 teams competing. In May, we compete locally against teams that are mostly from Dan Beard Council, but other posts can be invited. Last spring a team from New York joined our competition. There are both individual and team events and they cover everything from Critical Incidents, First Aid, Bomb Scene Response, Burglary in Progress, Traffic Stops, Traffic Crash Investigations, Domestic Violence, Arrest, Search & Seizure, Crime Scene Investigations and Active Shooter Response as team events. Individuals can also compete in Police Bike, Obstacle Course, Firearms Simulator Top Gun and Scenarios, Driving Simulator, Civil Service Exam and Testifying in Court. Qualified Explorers have an opportunity to ride along with our officers while they are on duty, getting real life experience which helps them decide if this is the career for them. Twelve of our former Explorers are now working in Law Enforcement careers as patrolmen, detectives and even an Assistant Chief!